at the Schomburg Center, Sat., Sep. 15, 3:00 p.m. I don't expect Mariela Castro to be in attendance for this event but she should return to NYC just for it. She could contribute a bit and, I'm sure, learn a lot too. It's really a fabulous set of smart people. Be sure to RSVP. See you there! Although Cuba has made major advances in LGBT rights in recent years, homophobia remains a problematic human rights issue. A panel of scholars, writers, and activists, featuring Jafari Allen, Emilio Bejel, Mabel Cuesta, Ignacio Estrada, Leannes Imbert, and Achy Obejas, will discuss continuing challenges. He brings with him a passion for shaping the conversation about Cuba and her people. Born in Cuba but raised in Puerto Rico, Duany has long struggled with answering the question: Where are you from? He sometimes just answers, "I'm Cuba Rican." He became interested in the idea of migration, specifically in the Spanish-Caribbean migration, during his time in Puerto Rico and has published extensively on migration, ethnicity, race, nationalism, and transnationalism in the Caribbean and the United States. "I would like CRI to focus more on the Cuban American community and the Cuban diaspora in the 21st century," Duany said. "I want to strengthen the CRI-faculty relationships, courses, fellowships and summer programs." Along with his appointment at CRI, Duany also will serve as an anthropology professor in the Department of Global and Sociocultural Studies within the School of International and Public Affairs. 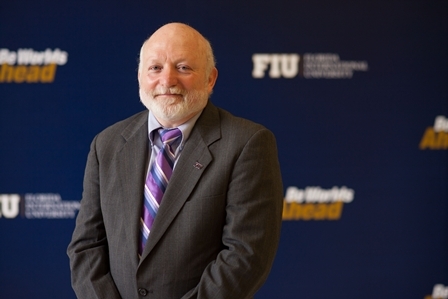 "Dr. Duany brings a unique perspective to our Cuban studies," said John Stack, executive director of the School of International and Public Affairs and associate dean of the College of Arts & Sciences. "His passion for Cuba and her people will help invigorate thoughtful conversations about the role Cubans play internationally and about the future of Cuba, itself." Prior to joining FIU, Duany served as acting dean of the College of Social Sciences and professor of Anthropology at the University of Puerto Rico, Río Piedras. He currently belongs to the editorial boards of academic journals including CENTRO: Journal of the Center for Puerto Rican Studies, Cuban Studies, Latin American and Caribbean Ethnic Studies, and Latino Studies. Duany received his Ph.D. in Latin American Studies, specializing in anthropology, from the University of California, Berkeley. He received an M.A. in Social Sciences from the University of Chicago and a B.A. in Psychology from Columbia University. He served as director of University of Puerto Rico's Department of Sociology and Anthropology and director of the journal Revista de Ciencias Sociales. He has had visiting teaching and research appointments at several United States' universities, including Harvard, Connecticut, Wisconsin, Florida, Michigan, Pennsylvania, and the City University of New York.